I had an excellent discussion with a great group of friends on Twitter recently. I wandered into the conversation a little late as I saw a topic that caught my eye and with some educators that I really respect. The discussion was focused on the use of technology to track student behaviours. I jumped in after I read this blog post shared by my friend George Couros. Then I saw another great educator I respect mention a little push back. Now when Dean Shareski is offering push back to George my ears perk up. Not that I am looking for George to be wrong about something, I just know I am about to hear some great discussion and may learn a thing or two. Of course, when George and Dean start a discussion....well people pay attention and start to join in. 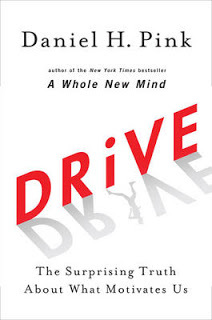 This lead to a great conversation on the use of tech tools as extrinsic motivators, badge systems, tracking behaviour data and poor decisions we sometimes make in education, including not knowing everything Dan Pink has tried to teach us in his book "Drive" or in his legendary Ted Talk. I knew this may get interesting as I was aware of what George thought about this subject already from his blog post here and various conversations we've shared. But Dean had raised an interesting point. He asked if we used technology to track learning behaviours? (sorry for any confusion about the spelling of behaviours for my US friends, I'm just trying to get in good with my Canadian pals and besides, I already ticked George off for arguing with him.) So, I thought about what Dean said and I knew that many, many districts use tech tools like that already. Collecting data on academic performance helps us to recognize where students need support or additional time to develop skills. Could Class Dojo or other tools be used this way? Sure. But the argument started to go that it could not, or at least it wasn't intended for that use. "It was never designed to do that." 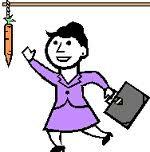 "It was created to be a carrot and stick." "Would you make teachers use a badge system for their learning?" Lots of passionate arguing taking place. I liked it, nay I loved it. Now, I could see the points of both sides, and I even had a friend jump in that shared the successful use of the tool in his classroom. Then another great Ed Leader I respected joined the conversation. I knew how Chris Wejr would feel about how this tool might be used. He is no fan of extrinsic motivational tools and I have read many of his blog posts to be aware of that. Chris also shared a video of how the tool could be used poorly to create an environment where students are pushed into compliance while the teacher is walking around tallying behaviour points. As you can see there were some differing opinions although for the most part we agreed that using a public badge system for sharing student behaviour and motivating student behaviour was a poor idea. However, this also wasn't getting to my concern in the discussion. My concern was that some were blaming the tool for how it was being used. Was it possible to use this tool in a positive way? Was it possible to use it in a different way than many people think it was created to be used? Basically I wanted to know, "was the tool evil?" Or, is it possible, that it was just a tool and that it could be used in a way that created unintended consequences thanks to people using it in a negative fashion? I had already had a fellow Tweep share that he had used it with success in his classroom. So much so, that he ended up not needing to use the tool anymore. Then another good friend, Matt Renwick, shared a blog post he had made with Six Ways to use Classroom Dojo for Meaningful Learning. Then the next morning another great friend and amazing educator, Erin Klein, shared some of her blog posts, here and here, that described how she has used Classroom Dojo. So I felt a little more confident in my belief. No, it probably isn't the tool to blame when it is used by someone that ends up creating a negative learning environment. My guess is that has happened long before this tool was created. I am guessing that some students were made to feel ashamed, or called out in front of their peers for negative behaviours prior to the use of tech tools. To me, this just sounds like the idea of blaming Twitter, Instagram and Facebook for bullying. Bullying was around long before any tech tools. Now, unfortunately, tech tools just make it easier to bully....heck you don't even need to be face to face to do it. However, I don't think technology is causing bullying. I don't think any teacher intends to create fear, submissiveness, or even to demean a student in front of their peers. I know it happens, and far too often, but I don't think that is the intent. I think there are ways and tools that can be used to help inspire students to become motivated. Maybe its just a latent motivation that the student hasn't activated yet, but the tool can help set it loose. I know this begins to sound like a carrot and stick, but I know I liked earning badges when I was in Boy Scouts, but more importantly I enjoyed the learning experiences that came along with it. I gained a confidence in the skills I would need to become a better scout. 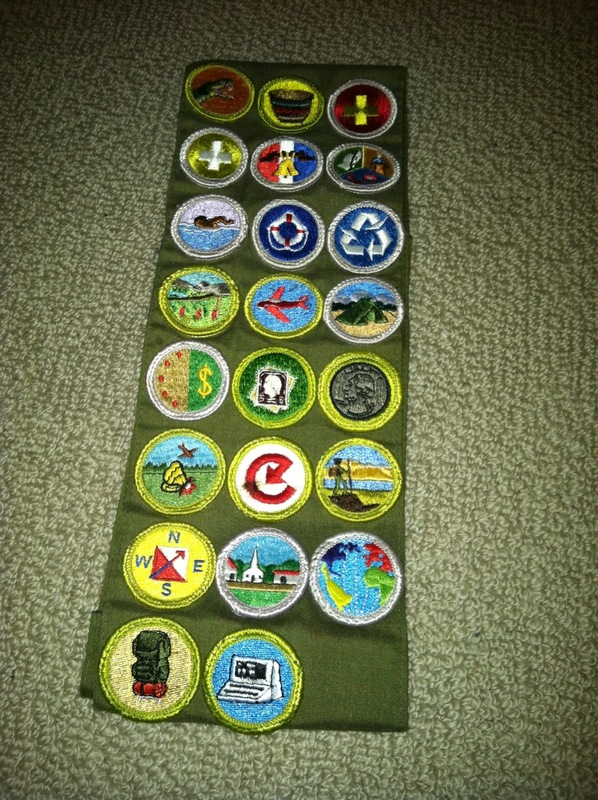 I didn't get jealous that other scouts had more badges than me, after all it was my responsibility to earn them. I didn't get embarrassed that some scouts had more badges than me, some were even younger than me, they just worked harder to earn more. When I wanted more badges I worked to earn them. However, maybe this was because my scoutmaster didn't present these badges, these learning opportunities, as a competition. They were just skills. They were skills I could earn to move myself up the boy scout ladder of mastery. Could this have been twisted into some kind of competition.....yep. It could have and possibly is, in some scout troops, made to embarrass scouts so that they will become motivated by peer pressure to earn more badges, or so that they can be the troop with the most badges at a Jamboree. So, I guess I am trying to say that I don't think it is badges, stickers, or tech sites that are the problem. The conundrum I have been contemplating is that I believe that it is often how a tool is used, that can make it seem like a useful or harmful tool. Therefore, it is the person using the tool that makes it useful, harmful, good, or bad. A hammer was created to pound nails, but that isn't all it can do. It can remove nails as well. It can also also crack open a walnut or a skull. Smash a finger or build a birdhouse. 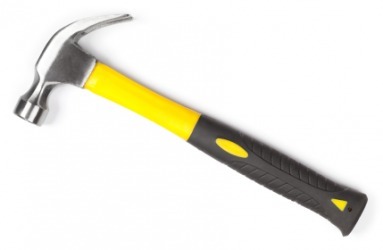 So do we outlaw hammers? Do we label them as dangerous tools? I think the beauty and artistry of any tool is not in the tool itself, but how it is wielded by the person using it. So when a hammer is used as a weapon or to build a cage for an animal, well, let's not hate the hammer. Maybe I am wrong on this..... What are your thoughts? I use Class Dojo, and I can see the negative side if it is used improperly. I use it to watch trends in behaviors that I used to track using paper. I communicate with my students and parents about their behaviors throughout the grading period, and I use the data from Class Dojo as a starting point for it, not the end point. I talk with my students about the trends I am seeing and ways to maximie their classtime. I ask them if they think my data is on target, and this leads to good conversations with kids. When used constructively, programs like these can contribute positively to our classrooms. Great post, Tom. Class Dojo is simply that - a tool. It can be used for a variety of purposes to meet a variety of needs. Just as with many other tools, it is the how you use it and why you use it that makes it meet your needs. "- Leave it on your Smartboard and pull it up easily- teacher and student can quickly add positive or negative points for an individual student or the whole class. - Choose the exact behaviors you are tracking in your class. Choose only to note positive behaviors if you wish." I have issues with both of these. What happens when you don't get credited for positive behaviour? Does lack of credit for positive mean you are in the negative? "Classroom Dojo: Behavior Management Software"
Covey said, "we manage things, but we lead people." Would any of your teachers be excited about you using "Teacher Management Software"? I understand your post, but we have to be really careful of what misuse could turn into. A few teachers commented that they used it and it quickly had kids focusing on the wrong thing (extrinsic rewards) immediately so they shut it down. I have no doubt that it can be used for positives, as Twitter was really never meant to be anything other than status updates and is used for a lot more, but the conversation is really important to have. Garnet's examples above are great. We just have to be careful of the "Law of the Instrument"; the notion that "if all you have is a hammer, everything starts to look like a nail." Always love your push back and I absolutely see your point. Any tool can be misused and some tools may have been created with good intentions that were not well thought out, but again I think that responsibility comes back to the user, or the choice to not use it. Thanks again for sharing and beating this up with me. Tom, I agree that a tool is not inherently evil. The user directly determines the tool’s affect. We should always ask "Why am I using this tool?" "How will this help my students, parents, and me?" "What are the dangers of using it and how can I eliminate the dangers associated with the tool?" Administrators need to start and continue these conversations with teachers to help everyone maximize the use of any tool being used in a school and help ensure that the tool is producing a long lasting positive affect. As to the discussion about intrinsic versus extrinsic motivation, we all know it is always better to have intrinsic motivation. Sometimes we have to begin with extrinsic motivation to help people experience success and help the person move to the joys and benefits of intrinsic motivation. We as teachers and leaders must continually assess our extrinsic reward systems and actively look for ways to shift towards intrinsic motivation. I hope the developers of Classroom Dojo read your post, Tom. It is a very accurate summary of our discussion and contains some deep reflections from yourself and others. The tweets by George and Chris helped me pinpoint the feeling I had when I first started seeing Dojo being used in classrooms this spring. The responses made by others, such as yourself, prompted me to consider the possibilities of this tool and write my post. That's what a PLN is all about! I learned a lot from all of you. Thanks again Tom for sharing your thinking. Thanks Matt! I'm glad you got something from it. I know I have been enlightened by much of the discussion and the responses to my post. I can always envision how I would want to use it, but it is learning how others use it that helps us grow and gain an understanding of the possibilities, good and bad. Agree completely Cory!! Thanks for sharing your thoughts and experiences as well. I think there is a lot of solid advice on this subject thanks to the amazing responses we have here. I love the quote by the way, thanks for sharing! Like with most things in education, our students deserve things to happen with them, not to them. So, when it comes to the tool discussion, you need to make sure you have a discussion with the class about why you are using something and what you hope to get out of it as a class. If you can make it relevant to students, and they understand what is going on, they'll be more than likely to respond. You can say the same things about teachers. As a teacher, I like having a say in our professional development, building goals, and other things like that. It is all part of being respected and taking ownership. A few talented people might be able to use a hammer to chop their meat & veggies and make a wonderful stir fry dinner, but most would end up smashing everything to mush. We can either 1) continue to use the hammer and eat mush, 2) use a knife because we know it works, or 3) learn from the master hammer-slicers. I don't use carrot & stick systems in my classroom or in any of my relationships (and don't want to have a relationship with someone who uses them on me), but I like how you kept an open mind and questioned whether tools like Dojo have any potential for positive and effective use. I have only been lurking into some of this conversation, and so freely admit that I have not changed my original distaste for a behaviour management system. I am wondering about the nature of your argument though. I think you are suggesting that it is just a tool and not inherently bad or good, but depends on how it is used. Which is true. However, the argument echoes pro-gun sentiment (guns dont kill people, people kill people) too much to sit easily with me. I have no doubt that many enlightened teachers use this tool in an enlightened way. But it does have an ideology of classroom life inherently embeded into it's structure - one of power and control. In the same way a gun has a purpose embedded into its structure. The fact that some people circumnavigate these implicit notions does not (to me) outweigh the dangers (yes, dangers!) programs like Dojo pose to creating classroom life based on empowerment and mutual-respect. This has been an important conversation, as I think it has helped tease out many taken-for-granted notions. Thank you for continuing it. It was a great conversation... Although I am still not a fan of Dojo. I remember Bill Ferriter sharing how one could use it for formative assessment if kept privately between the teacher and student. The problem I see is that this program is not built on this - it is built on gaining points, losing points, public displays, etc. if all we want is a spreadsheet for trends, then use that. But I woul guess the vast majority use Dojo as how George has described it... A new form of a sticker chart. I definitely agree that this is more o a pedagogical issue as the real important thing is the feedback that takes place AFTER the noticed skill. I still would not promote a program that encourages and highlight the use of public carrots or sticks for behaviour because in my experience, these systems work for the kids who don't need them. Behaviour is a skill... Focus on teaching, modeling, providing feedback, and reflection. Keep notes on kids for trends... But walking around plugging data into a spreadsheet or device is, in my opinion not the best use of time spent with kids. This has been a great conversation starter to move past the tools to talk about pedagogy. Thanks George and Tom for this. Very interesting post and discussion. Thanks for sharing it. The analogy of the hammer as a tool is spot on!